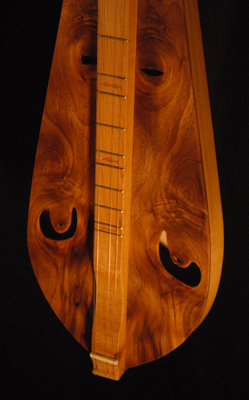 This dulcimer was made long ago as one of my first fully acoustic instrument models. 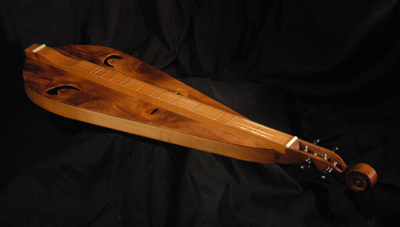 The fingerboard, back and sides are Maple and the top, head, and tail are Black Walnut. 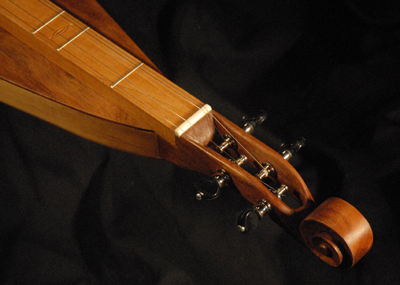 Note the soundholes are made by making use of knots in the Walnut. The surrounding figured wood accents them beautifully. This is a good example of using what nature provides to it's maximum advantage. 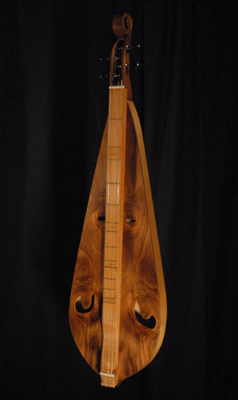 I am not currently producing this model but am happy to build instruments to order for interested clients.